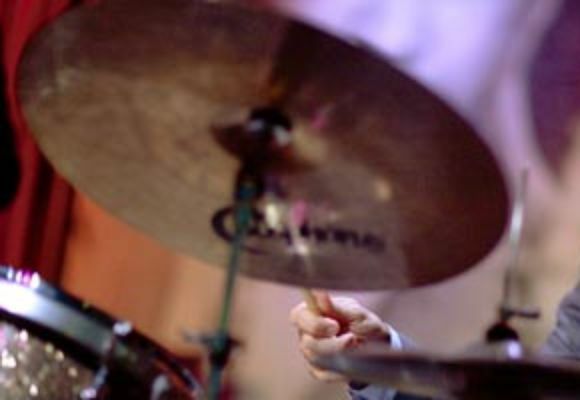 Drummer George Fludas was born in Chicago on October 10, 1966. He was inspired to play drums by his father, who exposed him to great jazz drummers such as Art Blakey, Max Roach, and "Philly" Joe Jones. He began his professional career in the late 80’s playing with Chicago greats Von Freeman, Jodie Christian and Lin Halliday, as well as playing in groups with guitarist Bobby Broom, and saxophonists Ron Blake and Eric Alexander. Over the course of his carreer he has played with many stellar musicians , such as Ira Sullivan, Buddy Montgomery, Lou Donaldson, Frank Wess, Kenny Burrell, Betty Carter, Johnny Griffin, Benny Green, Roy Hargrove, Tommy Flanagan, Hank Jones, Cedar Walton, Diana Krall, Benny Carter, Phil Woods, Junior Cook, Slide Hampton, and Bobby Hutcherson. He has performed at most of the premier Jazz venues acroos the US and Canada, as well as many international Jazz Festivals, including Montreal Festival du Jazz, Bern Jazz Fest in Switzerland, Glasgow and Edinburgh Jazz Fests, Vitoria Jazz Fest, San Sebastian Fest in Spain and the USS Norway Jazz Cruise. He toured Europe and Japan extensively as a member of Ray Brown's Trio, as well as with groups led by Hank Jones, Diana Krall, Monty Alexander, Cedar Walton and Joey Defrancesco. George lives in Chicago and performs regularly with local artists and visiting headliners at clubs and concert venues throughout the city. He continues to tour often with many of the top names in jazz. He can be heard on numerous CDs as a sideman with Ray Brown, Eric Alexander, Monty Alexander, Kyle Asche, Geof Bradfield, Scott Burns, Bobby Broom, Lin Halliday and The Chicago Jazz Orchestra.